Some of it is what you think, a lot of it isn’t. See what is fact and what is all in the mind. Ever since then humans have been fascinated with caffeine, and rightly so. Some of its effects are strange and contradictory. In many ways caffeine’s effect on your mind is much more about what you expect than what it actually does. The goatherd Kaldi may have been right about his goats, but not necessarily about humans. Despite all the fuss made about caffeine and sleeping, there’s little evidence that it’s a problem. The research finds that the vast majority of people have worked out how to use it. It’s not that complicated: don’t have a double espresso at midnight. Duh. Even then, there are studies where they give people caffeine secretly before they go to bed. Surprise, surprise it doesn’t generally affect their sleep that much! It’s not just poor sleep, because people think caffeine is at least a bit bad for them, they blame all kinds of non-specific problems on it: headaches, bad night’s sleep, feeling jittery, and so on. Researchers sometimes give people placebos and tell them they’ve had caffeine. People subsequently claim to have slept badly, developed headaches and all the rest. But it can’t be due to caffeine, because they haven’t had any. So it must be down to what we expect caffeine to do to us. It might seem mad to have a cup of coffee and then go for a nap. But if you’re sleep deprived, this may be the answer. Studies have tried giving tired people 200mg of caffeine (a cup or two of instant coffee), then telling them to take a nap. The caffeine plus the nap often has an additive effect on performance. In other words the caffeine improves performance above the nap on its own. Try it: have a coffee and a nap of around 5-15 minutes and see you feel. Even people who don’t normally nap can find this beneficial. Most people feel more alert after a coffee, but are they any sharper when scientifically tested? The answer is: in some ways yes, but in many ways not. The strongest positive finding is that caffeine increases sustained attention and vigilance. This is the kind of attention you need to keep doing a relatively routine task that is unchallenging. That’s why it’s often so good at work: it keeps us plodding on through boring stuff that we’ve got to get through. This finding is particularly strong for people who haven’t had enough sleep, which is most of us nowadays. When we stray away into other psychological areas like reaction times, learning and memory, things become much less clear. Sometimes caffeine improves them, sometimes it makes them worse and sometimes there’s no difference. 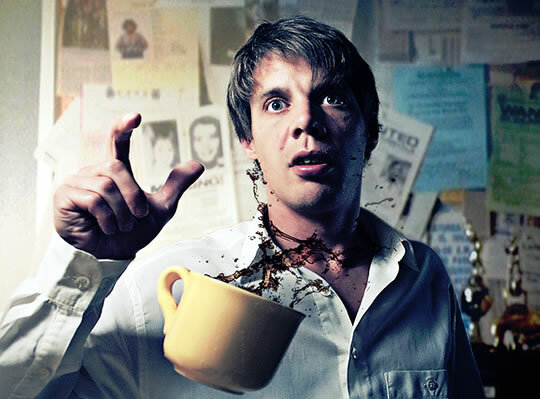 In general, though, there’s little evidence that caffeine makes much difference on tasks that require pure thought. Like everything in life, you can have too much of a good thing. And caffeine is no different. In the studies mentioned above, when people have around 200-300mg of caffeine, they get the benefits mentioned. That’s around three espressos or 2-3 cups of instant coffee. Upwards of 500 mg, though, and there’s no increase in performance and people start to experience negative effects. Naturally, though, this will depend on your usual level of intake; as the body and mind gets used to caffeine, like any drug. 6. No withdrawal symptoms when giving up? If you fancy giving up caffeine then prepare for withdrawal symptoms between 12 and 24 hours after your last cup of coffee. Then you may start to develop a headache and feel irritable, tired and anxious. Even withdrawal symptoms may be at least partly down to our expectations about the effects of caffeine. It’s little studied, but there’s a suggestion that if you don’t expect to get withdrawal effects, then you won’t actually get them. That’s probably why some people report having no withdrawal symptoms when they give up caffeine. So giving up may not be as hard as you think. No caffeine drinker needs me to tell them that some coffee makes them feel better and too much makes them feel bad. Moderate doses are the key. What counts as a moderate dose will depend on your usual intake and your genetic susceptibility, which is inheritable. So if your parents can take a triple espresso without their heads exploding, then you probably can as well. But even an inherited sensitivity to caffeine can be overcome with real dedication to the cause. There is some suggestion in the research that caffeine can help reduce pain. If you’ve got a tension headache, for example, then studies suggest that acetaminophen (paracetamol) plus caffeine will provide better pain relief than acetaminophen alone. Rather than causing non-migraine headaches, caffeine has been shown in one study to cure them! Studies find that after a cup of coffee or two people can actually see better in the dark. The boost is between 20 and 38%. People can discriminate between colours better when they’ve had some caffeine. Caffeine helps people ignore distracting stimuli in the environment. Technically caffeine is not really addictive because of the way it works in the brain and because many people don’t suffer withdrawal symptoms when they give up. However a small number of people do look like they’re addicted to it. But when you compare caffeine to the drugs that are really addictive, like cocaine or heroin, it’s pretty clear that caffeine is not properly addictive. Which Cognitive Enhancers Really Work: Brain Training, Drugs, Vitamins, Meditation or Exercise? The ‘Beer Goggles’ Effect: What Causes It?